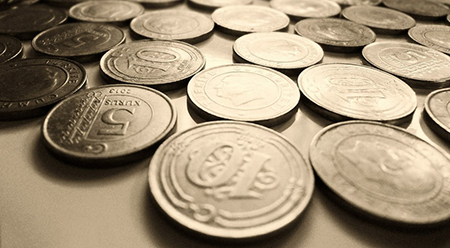 You are at:Home»Macro View»Turkey GDP Data: Time for an Overhaul? Turkey posted its first negative GDP growth figure in seven years in Q3 2016 when it abruptly announced a methodology change in the calculation of the macro economic variable just the day before the official statement. After having released reports for more the two consecutive quarters when each reading exceeded the consensus estimates by wide margins, it prompted skepticism from many economists. In our view, these skepticism is partly justified due to the disconnect between the headline figure and the underlying data and the backdated revisions that refrain analysts to make sound assessments. Here we aim to contribute to the debate with some intriguing findings. It is an interesting finding that the a relationship breakdown became apparent between a substantial component of consumption which Turkey’s economy mainly relies on and the economy itself. 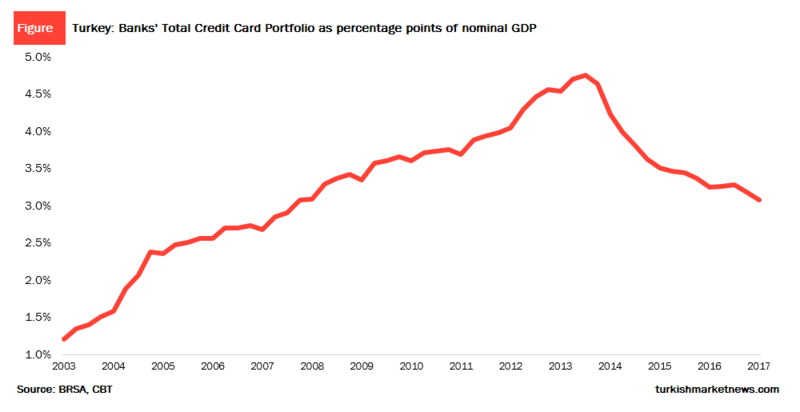 The chart above demonstrates the total credit card portfolio of the household in the banking sector as the percentage point of nominal GDP. One would expect to see some slowdown due to the changing characteristics of the economy and some restriction applied by the regulators in order to harness the consumption which usually drives the current account deficit into unsustainable levels,however, the drop is definitely sharper than anyone would have thought. So, there is for sure no reason think that banks are under-report their balances, the problem might with the GDP data. In that sense, we are still not the members of the skepticism club and there appears to be need for seriously review the current methodology since it probably ‘misses’ some facts about the economy. Other than that, it is not an imperturbable action to raise an issue about Turkey’s overall data quality.